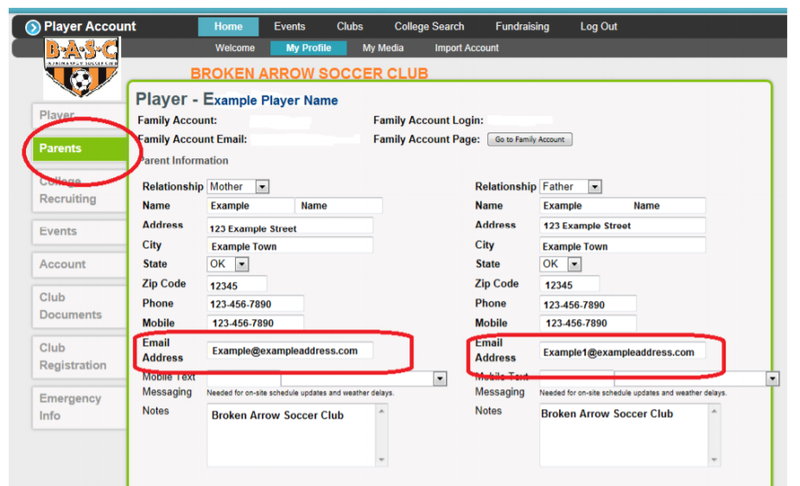 How to change or remove an email address from Gotsoccer. 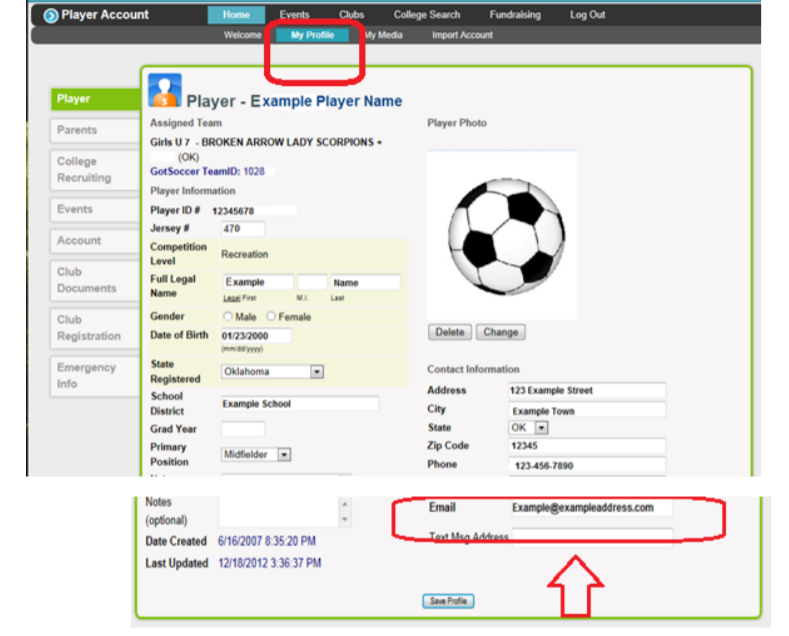 3) Sign into the “individual player login” with your player’s “Username & Password”. OR if you have a “family account”, sign in with your family account “Username & Password”. 4) Click on the “My Profile” link in the player account. Change or remove the player email address. See example below. If GotSoccer will not let you “save” the removal, please place the BASC email address info@bascok.com and click save. This should completely remove your information from GotSoccer.